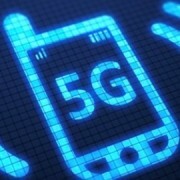 5G networks will deliver mobile speeds theoretically fast enough to download 600 feature films a minute. Mike Wright, Telstra’s managing director of networks, said 2G, 3G and 4G technology arrived in Australia having been designed by Europeans for densely populated European countries. “Our approach [to 5G] is to get in earlier and try to have it modified so it’s more suitable to Australia when it arrives, rather than us have to try to modify it when it gets here,” Mr Wright told BusinessDay. “We discovered that the way [5G] was being written, we were going to be limited to tens of kilometres for some features, and we’ve been able to get some of those distance limits changed,” he said. “Something that seems to be unique to Australia, and we found with earlier standards, is how gumtrees impact those radio signals and the way they get from the radio tower to the end user,” Mr Wright said. “That will influence whether we need additional towers for 5G, whether we reuse the existing towers, whether we use small cells, and then we’ll be looking at applications,” he said. ‘Buffering’ while streaming videos will be a thing of the past with 5G. In order to cope with NBN-related work and reduce the time customer spend waiting for a fault to be repaired, Telstra will hire 1,000 new field technicians. “We know that sometimes the experience our customers can have when they need a fault fixed or a new service installed can improve and we are building up our resources to do just that,” said Telstra’s executive director customer service delivery, Brian Harcourt. Service times are unacceptable with residents waiting weeks to have their services restored after extreme weather have wrecked mass damage. 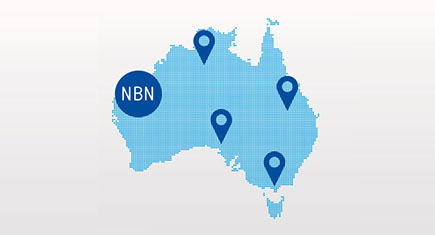 In the next two years, the national broadband network will be connected to more than 5 million households according to NBN Co.
Telstra has contracts worth hundreds of millions of dollars with NBN Co to maintain connections. Technicians are required to complete a 17-week training program to obtain skills to fix faults on the network. If you have been experiencing faults with your NBN network, please feel free to contact us on 1300 302 207 and one of our experts will be able to help. 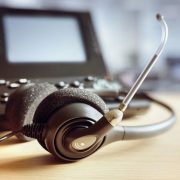 Are you looking to purchase a new business phone system? 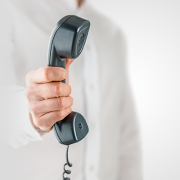 It is important that you understand the types of phone systems you can choose from and decide on the product that is right for you and your team. Things for consideration include your budget, whether or not your growing business will require more extensive features in the near future, whether you have IT staff that is capable of running and maintaining any in-house hardware, and if you have access to a high-speed internet connection. Most suitable for: These systems are typically best for large organisations that have the budget to pay for it and an in-house IT staff to run and maintain it. Most suitable for: Businesses that want the functionalities and features of the standard PABX but do not have the budget or resources to run and maintain the hardware in-house. 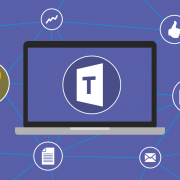 Most suitable for: These systems are best for small businesses that want the functionality of a sophisticated phone system at a reasonable price and for businesses that want their remote employees to have access to the phone system. 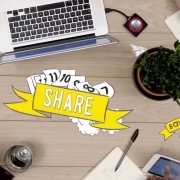 Most suitable for: Businesses that are comprised solely of remote workers or sole trader businesses. Are you unsure of the most suitable product for your business? Speak to our friendly team on 1300 302 207 or send us a message online here. 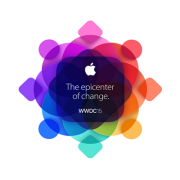 The 2015 annual Worldwide Developers Conference by Apple kicked off yesterday (8th June) in San Francisco, California. The event began with a keynote in which Apple unveiled a new music service, new apps, new operating systems and easier ways to find information. OS X 10.11, otherwise known as El Capitan (named after a mountain found within Yosemite), is more about improving the OS X experience and performance than redesigning the user interface. El Capitan is available for developers today, with a public beta coming in July and a full, free rollout to all in the Australian spring. Similar to the new version of OS X, iOS 9 is more about making refinements. 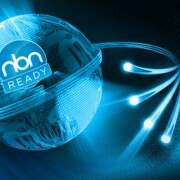 A public beta will be released in July with the final version coming out in the Australian spring. Siri answers more than one billion requests a week, and with the latest updates the iOS “proactive assistant” initiative uses the data on your phone to give contextual advice and options. While these new services draw data from nearly everything you do on your phone, Apple emphasises that the data powering the new Siri features is kept as anonymous as possible, not shared with third-parties, and localised to a user’s device. Apple’s all new music service. You can stream your favorite artists, watch music videos and exclusive clips in HD, and listen to curated playlists. Other features include “Connect“, which lets unsigned artists upload their music, as well as Apple’s own global radio station called Beats 1. Apple Music will be available on iOS starting 30th June and also coming to Android in the Australian spring. The price details in the United States will be $10 USD per month, with the first three months free. Australian prices will be released closer to the launch date. Less than two months into its life, the Apple Watch has a new operating system: watchOS 2. The new Apple Watch OS will be available in the Australian spring. Apple Maps also gets a revamp, including the addition of public transit maps which show train, bus and ferry lines showing you when the next train or bus is departing and how long it will take to walk to the nearest entrance. The bad news is that rollout will begin in America, Europe and China, and there is no news yet on when it will be coming to Australia. Apple announced it was expanding its mobile wallet Apple Pay to the United Kingdom, including allowing people to jump on a London bus or the Underground with the Apple Pay. There is no mention of when or if it will be coming to Australia. 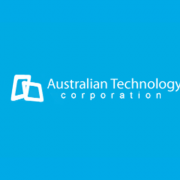 Interlinked is pleased to announce our recent acquisition of Australian Technology Corporation, IT & telecommunications solutions provider servicing Sydney. Our company benefits from the acquisition as we continue to grow as a leading provider of IT&T solutions. 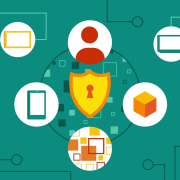 The acquisition will also bring about many benefits to clients who now have easier access to our wide array of services, including business phone systems, managed IT, cloud computing and software development, as well as a larger support team to service all your technological needs. It is our goal to continue providing the highest level of service to our valued clients and we look forward to speaking to you about your next telecoms or IT project! If you have any questions or comments, please don’t hesitate to contact us.